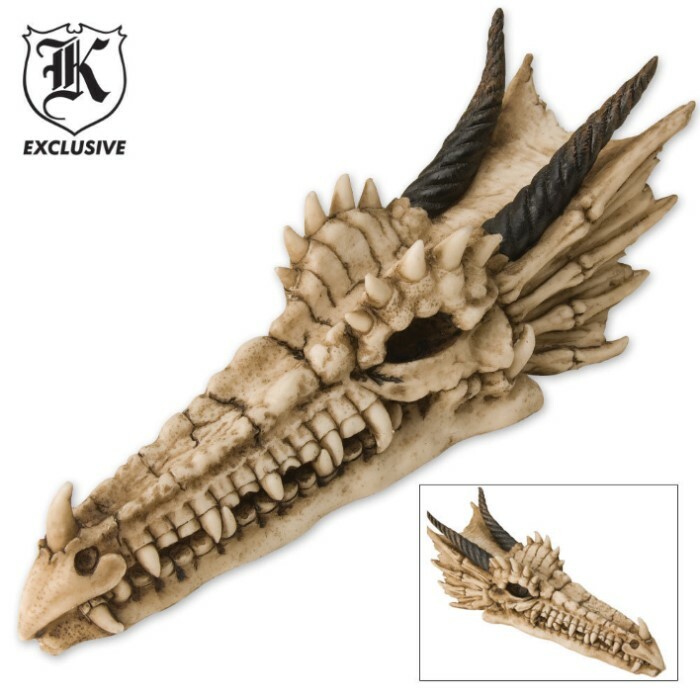 Fantasy Décor Resin Dragon Skull Wall Mountable | BUDK.com - Knives & Swords At The Lowest Prices! 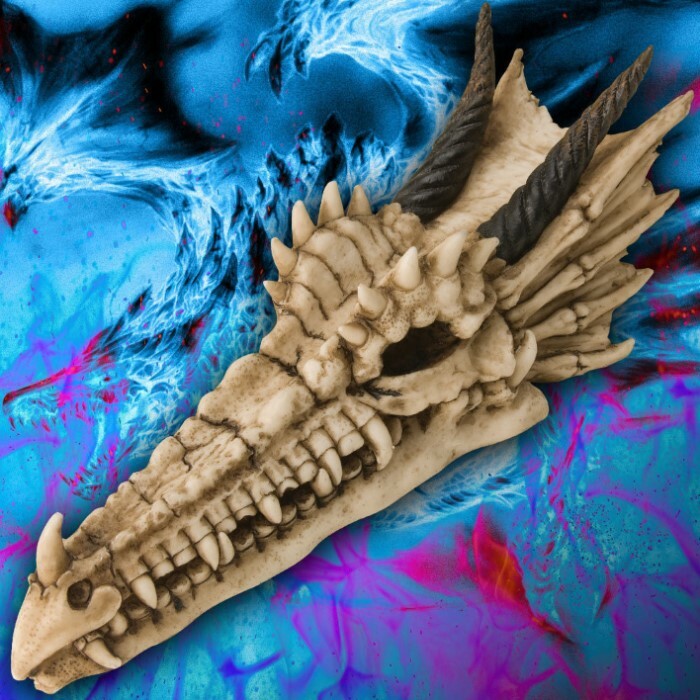 Become a real dragon slayer with this intricately detailed cast-resin dragon&apos;s skull. It features hand-painted details on this stunning rendering of a medieval dragon&apos;s skull. The back features a hook for hanging on a wall or door. This is really good Bang for the Buck. This thing is just cool. We have it hanging on our wall right above our computers where we play RP games. It looks great and it's really well made. We love it. The skull looks real and the price was great I was looking everywhere for one like it. In truth, if there were dragons, this would be not much more that a hatchling skull (assuming they laid eggs). The video at the site very well shows how small it is. However, the detail is very good and makes an excellent wall decoration. I got two on a BOGO sale for less than the full retail for one, and I got discounted shipping. Given that opportunity, it has to be five stars. I bought it and got 2 for one. They were a surprise for my wife. We were both satisfied with the workmanship and the great looks of them. We are into Dragons and are looking for more. Like the other review, the skull is a great piece to my collection, but smaller than I expected..Would be nice to include the size of pieces in the descriptions, not only of this piece, but others as well..Also minor, but would have been nice to add the mount at an angle like another skull I bought that sticks out of wall instead of flat.. Other than that, it is a nice skull w/good details.. It was a bit smaller than what I thought it would be but the detail is excellent. I do like this piece. The reason for losing a star is that I was surprised by it's size. I bought it to be a companion to the other dragon skull #14 YT7728 (that I love) but this one is half it's size. Since it's not listed, It's 9in long, 3in tall at the brow, and 3in wide. Extremely nice detail. Well done, solid. It can be hung on the wall but right now I have it just sitting on my inn table and it looks great! A really good price for this piece of fantasy art and as usual trueswords has excellent service.